The wait between Season 7 and 8 of Game of Thrones has been long and full of terror, but thankfully, we’re just a few months away from the snowy show’s swansong. With just six episodes left of the ice and fire epic, there’s sure to be some major deaths as the hardened survivors of the Seven Kingdoms race for the Iron Throne. After pretty much all of Season 7 was leaked online or through scripts, you can’t blame HBO for trying to clamp down on spoilers ahead of Season 8. Unfortunately, it seems that one of the biggest leaks has come from within. According to Sansa Stark herself (Sophie Turner), she’s told her nearest and dearest how it ends. Speaking to W Magazine, the 22-year-old revealed how she couldn’t keep the spoileriffic Season 8 scripts to herself. “I’m so bad at keeping secrets. I don’t think people tell me things anymore because they know that I can’t keep them,” she said. To be honest Sophie, I’m probably with you on that one. At least the young star has the foresight to know when she’s dropping potential spoilers — not like those Marvel Cinematic Universe boys. The likes of Mark Ruffalo and Tom Holland have become known for dropping some major spoiler bombs without even realising. Only last year, Turner managed to hold the shock death of Petyr Baelish. The dramatic Season 7 finale saw Sansa, Arya, and Bran Stark put their heads together and finally topple the slippery Littlefinger in one of Game of Thrones‘ most satisfying death scenes. Although Sansa is currently sitting pretty as the Lady of Winterfell, expect that all to change pretty quickly. 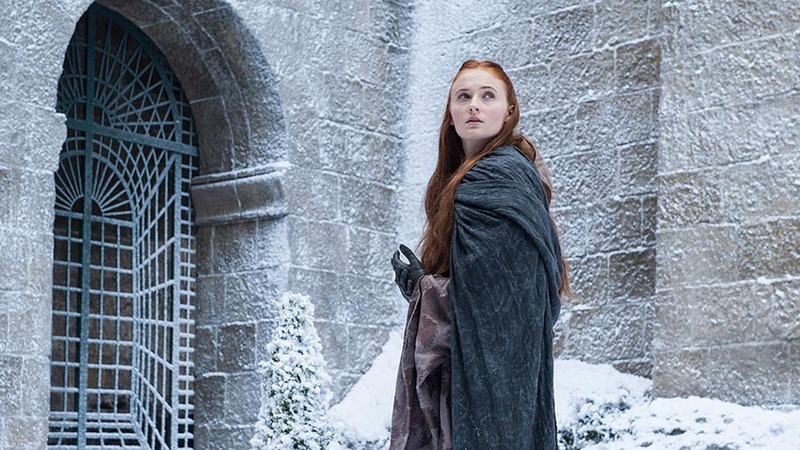 Sansa was a big part of the show’s cryptic Winterfell teaser, suggesting the fiery redhead will have a major role in Season 8. Whether she’ll make it out of Season 8 alive remains to be seen, but with rumours that Winterfell is going to burn to the ground in one of the biggest TV battles of all time, Sansa might not even have a homestead to rule over. If you want to know more and think you can keep a secret, why not give Sophie Turner a call?